Last week, while Zak was studying, I suggested we make the famous three ingredients pancakes. 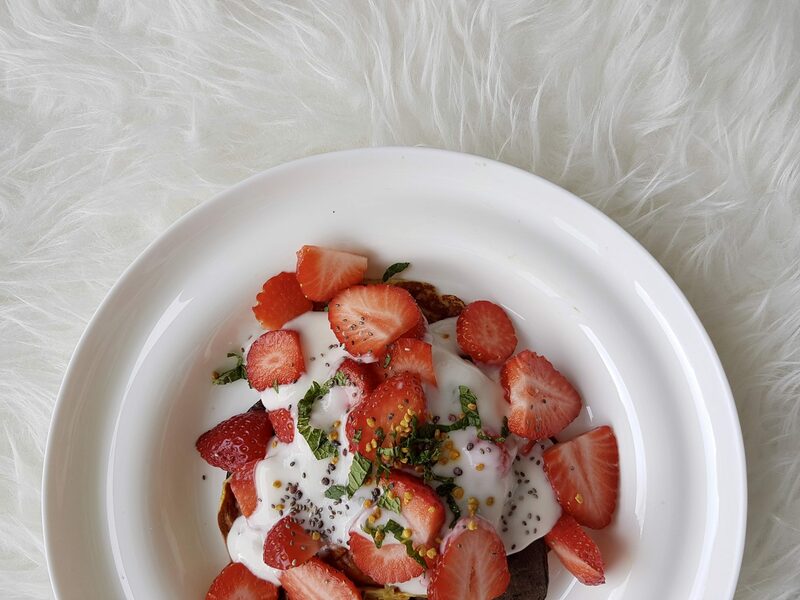 These delicious healthy pancakes that take so long to cook and are so hard to turn but oh so delicious! The recipe is super simple: (1 1/2 banana, 2 eggs, 1/8 baking powder) I love making quick and delicious fruit coulis in order to have more options than just maple sirup. Here is a nice idea you can try out: whippe up the whole thing: coconut yogurt, orange blossom water, fresh cut out mint, almond milk to liquify the mix and maple sirup to taste. I added chia seeds and bee pollen at the end.